Summer Baking! 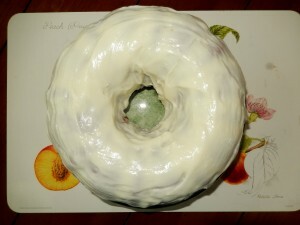 Zucchini Bundt Cake, Cream Cheese Icing, Recipe, Easy, Delaware Beaches, Southern Delaware…Great Way to Eat your Veggies!! It is the end of July and…have you found any zucchini in your garden the size of a baseball bat? It seem that happens overnight. How can they grow that fast? Anyway, years ago, my friend, Deveraux, and I thought we were such good gardeners. The zucchini we grew were huge. Little did we know that the smaller zucchini tends to be tender and more flavorful. That came with time and cooking experience for us. I am not a baker but at times an easy recipe comes along and I make it my own. This is one of them. Some weeks ago when I bought some zucchini I decided they were too big so I turned them into my old recipe. This recipe is easy, have it for breakfast, lunch, dinner, or just with a cup of coffee in the p.m.
Grate zucchini to make 2 cups. Set aside. Beat eggs lightly. Beat in sugar, gradually, then oil….mix well. Sift flour with soda, baking powder, salt, and cinnamon. 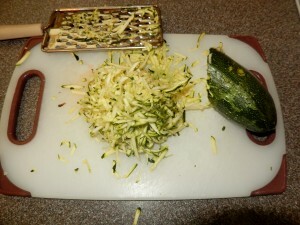 Add to egg mixture, alternating with zucchini. Stir in vanilla, and sour cream. Add the walnuts. Mix well. 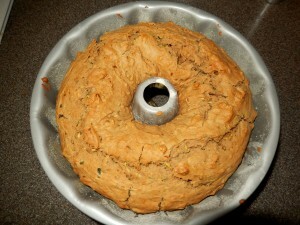 Grease the bundt pan. Pour mixture into pan and bake in a pre-heated 350 degree oven for between 45 to 60 minutes. Test it with a knife inserted in the middle….came out clean? It’s done!! Let it cool off and then place on your favorite plate to be frosted. Mix powder sugar into the cream cheese and beat until smooth. You may add a bit of lime juice or even some vanilla, if you wish. 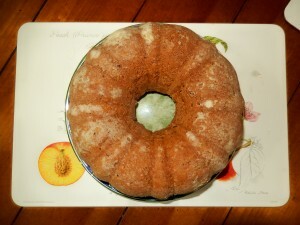 Spread on the bundt cake. When I made it a few weeks ago, it got good reviews in my household….I served it with a little spoonful of frosting on the side, as well. Comments Off on Summer Baking! 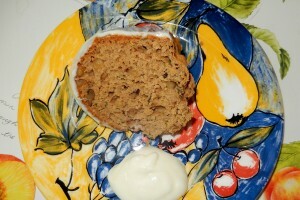 Zucchini Bundt Cake, Cream Cheese Icing, Recipe, Easy, Delaware Beaches, Southern Delaware…Great Way to Eat your Veggies!! It was just a quick lunch…that’s what Debbie and I wanted. 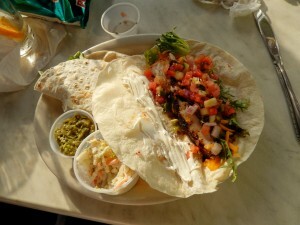 Spending the day in Bethany Beach, it is amazing to see how many restaurants are now offering lunch. I remember when that was not the case and Bethany was a dry town. Things have changed quite a bit since the mid 70’s. 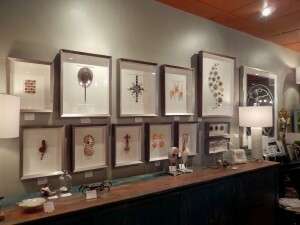 Our choice was Off The Hook, located at 769 Garfield Pkwy. or Rt. 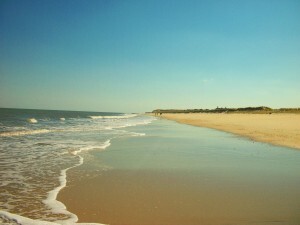 26, just a mile or so west of Bethany Beach. Tel. 302-829-1424. Website? 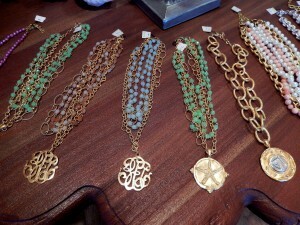 http://www.offthehookbethany.com. 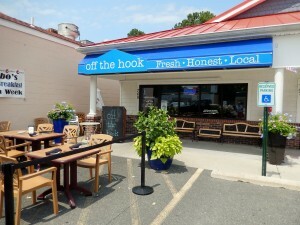 Off The Hook opened in 2010 in Bethany Beach and was received with open arms. You can have lunch or dinner, or both…and even have a little alfresco dining. The restaurant is small and cozy. 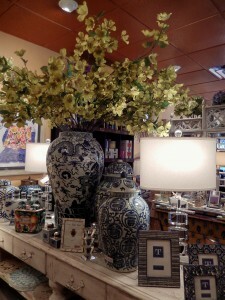 The staff is very attentive and knowledgeable. 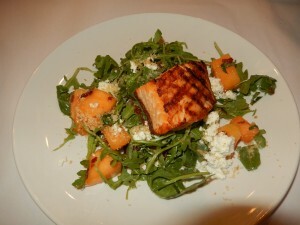 My friend Debbie had the Arugula n’ Melon Salad….local melon, crispy prosciutto, goat cheese, chive crumb and a champagne orange vinaigrette….topped with grilled salmon. This is a favorite of Debbie’s so it goes without saying that she likes it!! 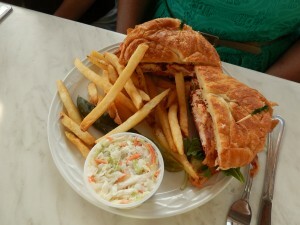 I was looking for something light…too much eating lately if you get my drift. I spotted the Crunchy Tuna Lettuce Wraps and they were really good. 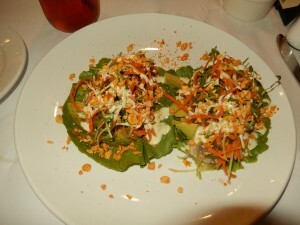 They had seared tuna, avocado, pickled carrots, pea shoots, and spicy peanuts with a Japanese Wasabi Mayo. 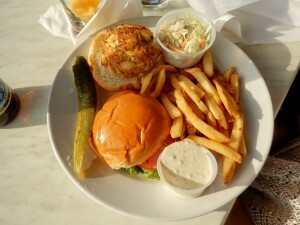 All the distinctive combinations of foods and those pickled carrots hit the spot. 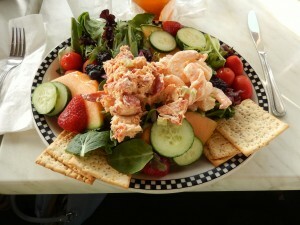 I almost forgot to tell you that the prices were very reasonable….the restaurant was crowded for lunch. See you. 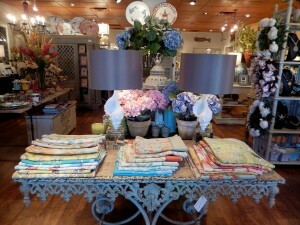 You can’t help but fall in love with Rooster’s Nest. It opened in 2006. 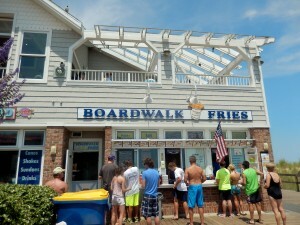 Since then the word has spread….a must stop shop when visiting the Delaware Beaches. 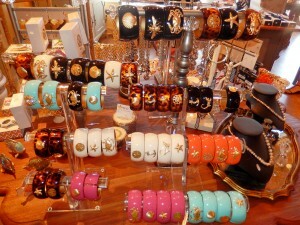 It is located at the Bayville Shopping Center on 37244 Lighthouse Rd., #108 in West Fenwick Island. Tel. 302-436-1848. Website? 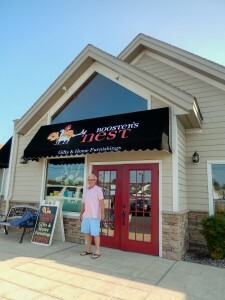 http://www.roostersnest.com. 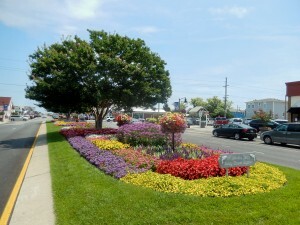 It is about 3 miles west from Coastal Highway in Fenwick Island. 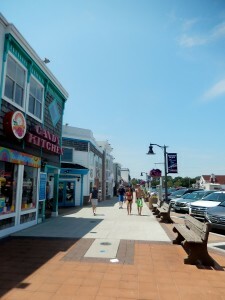 It is also very accessible to Ocean City, Maryland, since Rt. 54 is on the Delaware/Maryland line. The Proprietors are Sally Walsh and Bill Shoemaker. 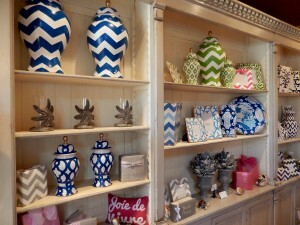 They have been able to assemble a shop that offers the discriminating shopper fine gifts, home furnishings, children’s gifts, one of a kind pieces, stationery, and jewelry….all under one roof. 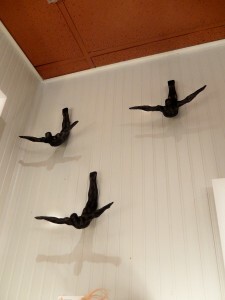 The merchandise changes constantly, pieces go quickly, but the other day as 10 of us entered the store it was really full of beautiful things. Ooohs, and Aahs….I want this or that was all we could hear. The staff is great and very helpful. 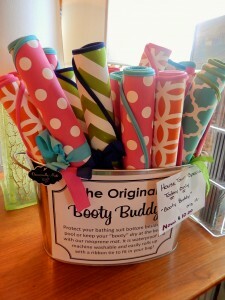 The swimmers are decorative and the Booty Buddy is made of neoprene which will protect your swim suit at the pool or the beach. 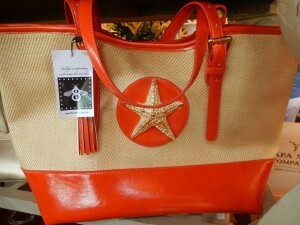 Handbags and totes….we love them!! 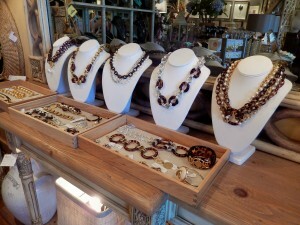 Rooster’s Nest offers several lines of jewelry. 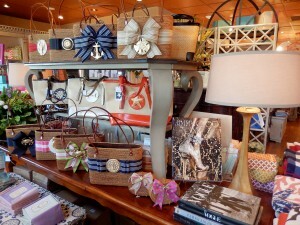 Sally and her staff will answer questions, and help you look for that special gift. 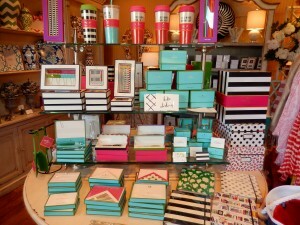 It is a great store. I just gave you a sample….you have to see it for yourself. Destination? 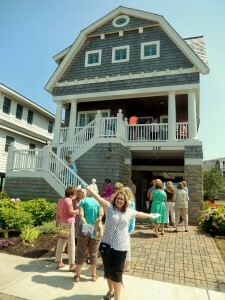 Beach and Bay Cottage Tour, Bethany Beach, Delaware, Fundraising, Friends of the South Coastal Library, Delaware Beaches, Southern Delaware, Celebrating the 23rd Annual Beach and Bay Cottage Tour!! 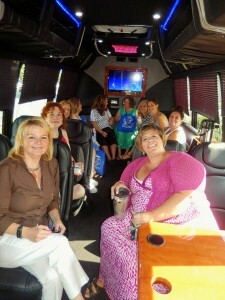 It really is the only way to go……our own private Limo. 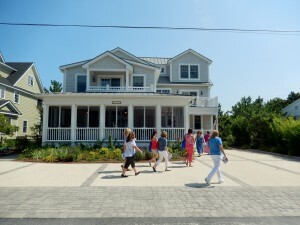 Making a day of touring the “cottages” in the Bethany Beach area. 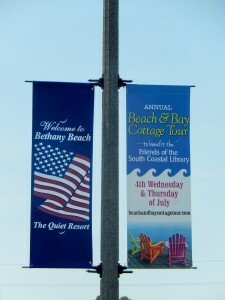 It is the Quiet Resort and these owners open their doors under the care of the Friends of the South Coastal Library. 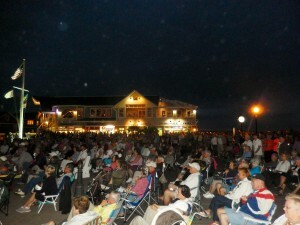 For 23 years this is an annual event, taking place the third Wednesday and Thursday in July. It is always very well attended. Many visitors and residents want to check out what others have done to their homes. And it is held rain or shine. When you tour the homes the brochure is your entry ticket and in it you will find every detail of the home, including the color palette, decorators, builders, and landscapers, as well as personal stories on the owners. More info? 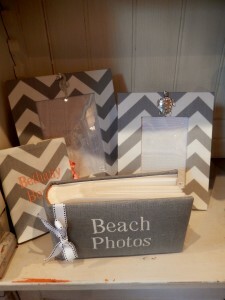 Please visit http://www.beachandbaycottagetour.com. Our driver was Ty and he was great. Took our photos, had lunch with us and took us from door to door. 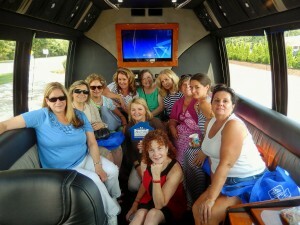 On a hot day having a limo was just….priceless! Inside the limo we got comfortable with snacks and bubbly. Our group thanks Sandy, sitting on the left hand side, for making all the arrangements, including lunch at her home, which was quite a spread! 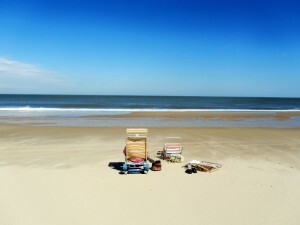 Many years ago, the “cottages” in Bethany Beach were summer places where many came to just relax….no air condition, just fans, and simple furnishings. 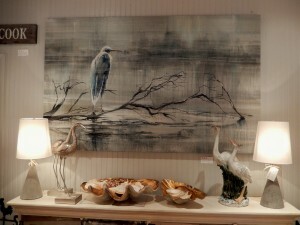 That has really changed with homes on this particular tour ranging from 1,400 square feet to 6,000 square feet. 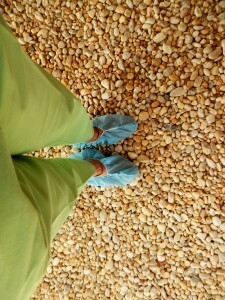 For the visitors….booties were to be worn before going inside each home. This house had an amazing view of the bay. It was the largest home on the tour. 6,000 square feet with very open floor plans, a massive kitchen, and even a room for the dogs. 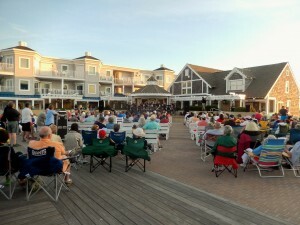 Multiple balconies overlooking the Assawoman Bay and a wide back porch and a bayside flagpole surrounded Adirondack chairs for sunset watching. It was a New England style cedar shingle house. 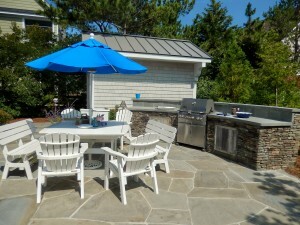 Right on First Street in Bethany Beach this 2,500 square foot house was a Hamptons-style home. 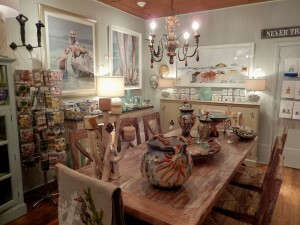 The owners have been visiting Bethany Beach for 40 years. This home in Sussex Shores was built after the owners had outgrown their cottage also in Sussex Shores. 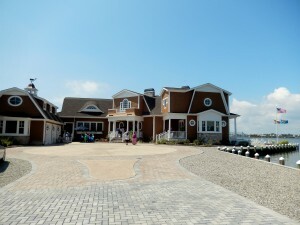 It was a 4,100 square foot beach retreat, with open dining, kitchen, living areas, and great outdoor living space. It had reclaimed white oak floors and the home was decorated with refurbished barn sale finds and the remnants from their old cottage. We toured all 10 homes. I found that the houses featured on this year’s tour were so completely different. 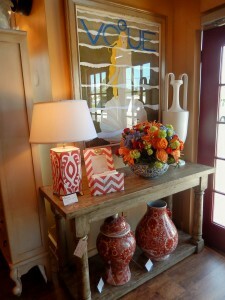 You were able to see the personality of the owners by the way their homes were decorated. 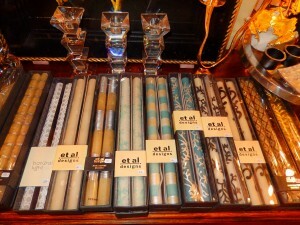 Accessories speak to the style of the family that lives in the home….and there were plenty. 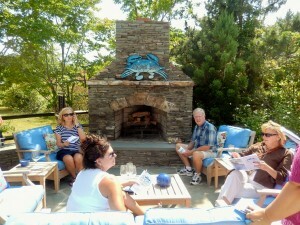 A photo after we finished and were relaxing in the Sussex Shores’ home. And, a last photo inside the limo, taken by Ty. Oh no….the day was not over yet. 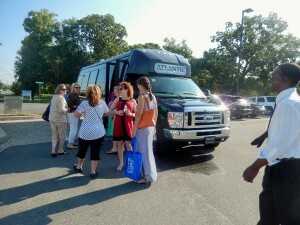 Our limo was gone but we all took off for shopping at Rooster’s Nest in Fenwick Island, on Rt. 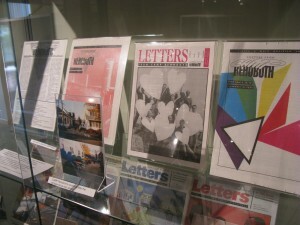 54….a post in the making. 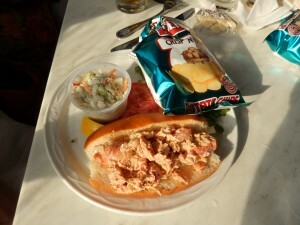 And an early dinner at The Lobster Shanty located on Rt. 54 in Fenwick Island, as well. 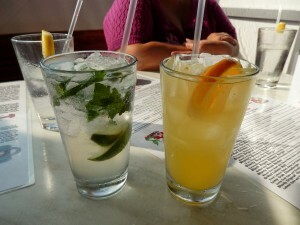 View of the marsh, a breezy porch…orange crushes, mojitos, sangria, lobster and shrimp salad, lobster rolls, crabcakes, fish tacos, and lobster BLT! 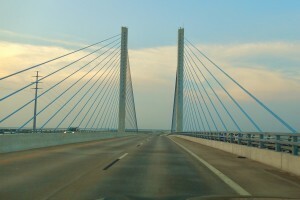 It was dusk and I was driving over the Indian River Inlet Bridge. The nigtht was clear and all I could think was how nice it was today. 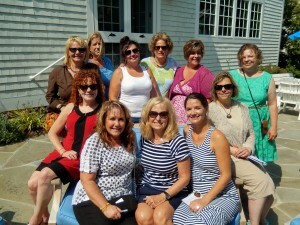 The funny part was that some of the women knew each other but some, also, like me, only knew one person……new friends were made….and that’s a priceless, as well. 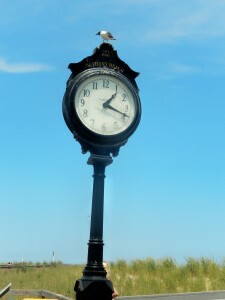 Bethany Beach, Delaware, also known as The Quiet Resort was founded in 1901. 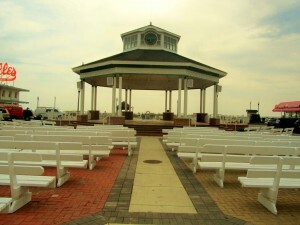 Originally, it was intended as a permanent yearly seaside assembly for the Christian churches of the country. Bethany is definitely, a family resort. 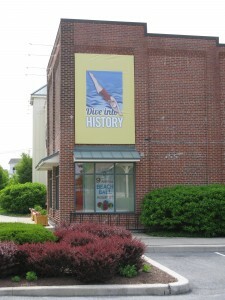 It is enjoyed by so many visitors coming from the Mid-Atlantic States…and beyond. For many years I lived in Bethany. 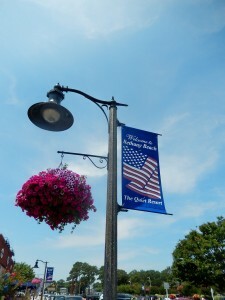 Even though many things have changed around the town…..one thing that does not change is that small town atmosphere we all seem to be seeking now. 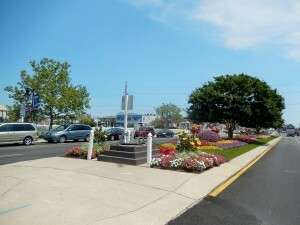 The flowers look gorgeous all summer long. How does she do it? 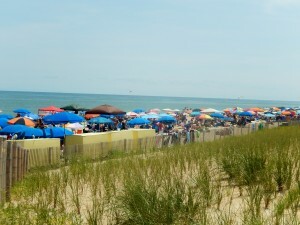 It was past 1 p.m. and the beaches were crowded. This time of the year until mid August it is considered the height of the summer season. Just be patient, there are a lot of visitors in town. 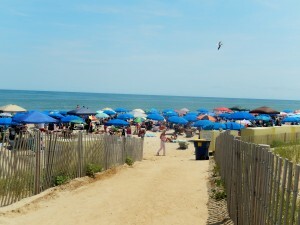 The beaches were packed and those umbrellas are iconic at the Delaware Beaches. 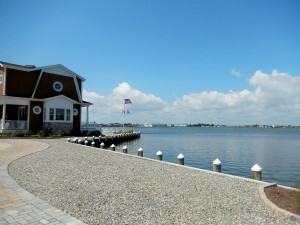 Note: Please remember that the Beach and Bay Cottage Tour is tomorrow, Wednesday, 7/23 and Thursday, 7/24. 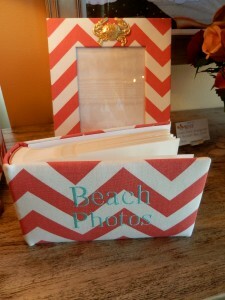 Please visit http://www.beachandbaycottagetour.com. They always have tickets available. 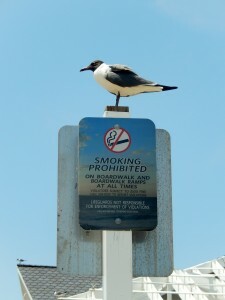 And, also make sure you also remember that Bethany Beach is Smoke Free! !